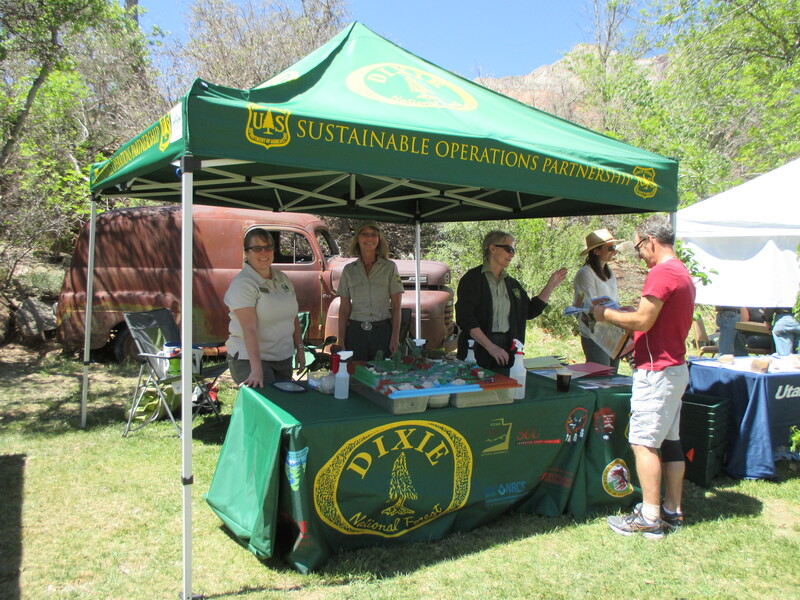 On Saturday, April 18, 2015 an event was held near Zion National Park to celebrate Earth Day. The Sustainable Operation Partnership presented a booth in which visitors were able to see the watershed model and learn about the importance of water conservation. The SOP also gave out information about recycling. There was a large variety of booths at the event, many who’s focus was on stewardship and taking care of the earth. Hundreds of people attended and were able to learn more about a variety of subjects including wilderness, fire, wildlife, vegetation, gardening and sustainability.